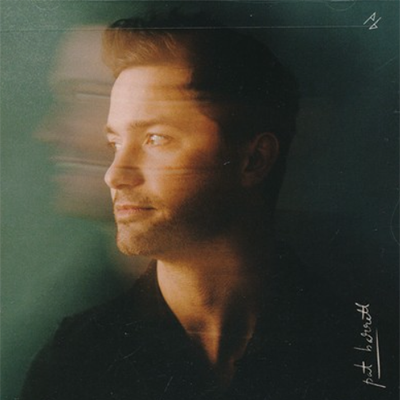 Prolific singer and songwriter, Pat Barrett, of Housefires fame, released his self-titled debut album on July 20 2018. You may remember the worship leader as a primary vocalist and songwriter for the Atlanta-based worship ensemble, Housefires. He also co-wrote award-winning worship song, Good Good Father and has penned a children’s book, with the same name, with Christian music super star, Chris Tomlin. Barrett’s piercing vocal hit me square in the heart, with the opening lines of the first track, Into Faith I Go, saying: “I’ve never been good at change/ If I’m honest, it’s always scared me/But I can’t deny the stirring deep inside me/And I know it’s time to stop resisting.” I was immediately so impressed by the quality of the singer’s vocals… wow! The track is a reflective, profound ballad that speaks about holding on to your faith even when it’s not easy. I love Barrett’s take on the traditional, classic refrain “God is so Good”. Titled God Is So Good (You Are Worthy), the track starts off with a funky bass and percussion intro, followed by a sturdy first verse that leads us into the popular chorus: “God is so good/He’s so good to me.” My absolute favorite part of the track is when Barrett shoots off into free worship, the longing and passion in his voice so evident, as he sings about the goodness of God. Goosebumps! First single, The Way (New Horizon), hit No. 12 on the Christian Airplay chart. This ballad is through and through a beautiful devotion and will have you singing the actual Word: He is the way, the truth and the life! Again, Barrett’s vocal totally brings this one home, with just the right amount of soul, grit and earnestness, adding a depth to the song. If you’re looking for the more congregational track, you’ll enjoy Build My Life and My Hallelujah. Other notable tracks include contemporary Christian song, Sparrows and Lillies, which features a memorable hook and a bluegrass sound. I was also really impressed with duet, Sails, featuring Bethel Music girls, Steffany Gretzinger and Amanda Cook. This quiet, spiritually deep ballad speaks about being vulnerable before the Lord. Gretzinger and Cook add another layer of excellence to Barrett’s already impressive vocal game, and you can’t help but be blown away by the sheer beauty of their voices. The song’s melody is catchy, tender and easy to remember. The lyrics are profound and probably something you’ll put on repeat when you’re going through a particularly challenging season. Pat Barrett’s self-titled debut offering is definitely one to take note of! The big songs are impacting and commanding and the quiet ones are powerful and passionate. Pat Barrett’s 15-year long journey of digging spiritual wells, in the music industry, has certainly paid off! His voice is impeccable and his writing style is impressive. I highly recommend this album!